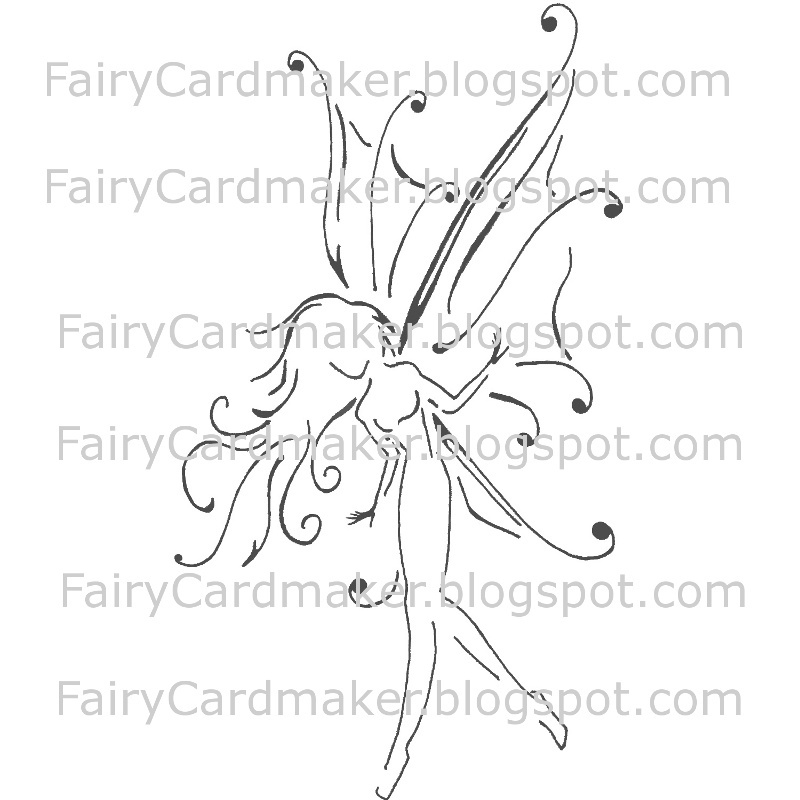 Fairy Cardmaker: There's a New Fairy in Town! I did it. I drew. So, I had my banners done by graphic artists. I do love my blue fairy and the wee ones that inspect my cards like fairy quality control. However, the font has always bothered me a little and the blue is EVERYwhere instead of just on the fairy. Okay, to be honest I just get bored of designs from time to time! So, it was time for a change. I got in on a sale on Etsy by WinchesterLambourne. It was an incredibly good deal and Winchester ended up flooded with orders. So, I had to wait a wee bit but it was no big deal. It wasn't holding up any launch or promotion. Once I made my way up the queue, then I got super fast, felt like to-the-minute service! I chose a stock background design and I decided to keep it simple. Clean and simple is my style and my selling point. Clean and simple is easy to mail, hands down. There were lots of digital fairies available, many of which were breathtaking, but few of which suited what I wanted. 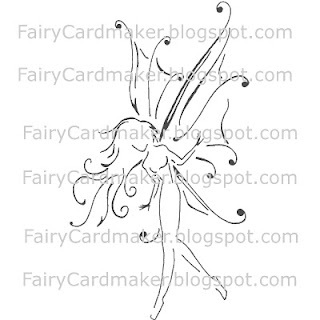 So, I took pencil to paper and made a simple line drawing of a fairy. She is now nestled in my Etsy Shop Banner with a fancy title, courtesy of Winchester! Digital stamps is something I've been meaning to investigate further. I am not very quick at picking up all this techy stuff though. I spent 3 hours digitally "touching up" the scan of my hand drawn art. 3 hours for something I took half an hour to draw! Digital stamp work is not something I'm going to go headlong in to. I will continue to toy with it, as I have been toying with it for 2 years now. As part of my order, I also received an avatar sized snippet of the shop banner background so that I could tinker with an avatar. Here's what I came up with after 2 hours today. It is actually version 5 of 7 attempts. Do you like it? I like it. The question is... how long will I like it for? Hee hee. It looks good! I really need to learn basic graphic design. She's wonderful! The simplicity works well for a logo. I started trying to design a logo weeks ago, but got discouraged. Hopefully yours will motivate me! I hope it does, aqariann. Can't wait to see how yours turns out. I'm sure it will be uber! I hope so! It's amazing how much work can go into a tiny symbol. Btw, I chose you as a fellow Stylish and Versatile Blogger!